ORGANIZED LABOR in the United States achieved a milestone in 2009 that once would have been unthinkable: for the first time, union members working in government jobs outnumbered those working in the private sector. According to the Bureau of Labor Statistics (BLS), the number of unionized private employees fell last year to 7.4 million. That represented just 7.2 percent of the private-sector labor force, the lowest proportion in over a century. By contrast, union membership in the public sector topped 7.9 million, or 37.4 percent of all federal, state, and local government jobs. The share of government workers belonging to labor unions, in other words, is more than five times the unionized share of the private sector. 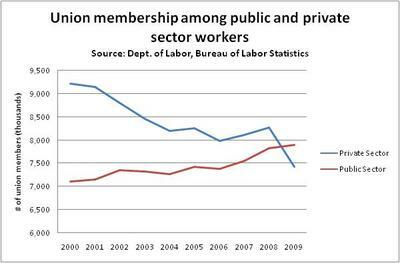 Union membership in private industry peaked at 35.7 percent in 1953 and has dwindled ever since. In the public sector, unions surpassed that level years ago and show no sign of weakening. There was a time when even pro-labor Democrats objected to public-sector unionism. "The process of collective bargaining, as usually understood, cannot be transplanted into the public service," President Franklin D. Roosevelt wrote in 1937 to the head of the National Federation of Federal Employees. In the private sector, organized employees and the employer meet across the bargaining table as (theoretical) equals. But in the public sector, said FDR, "the employer is the whole people, who speak by means of laws enacted by their representatives in Congress." Allowing public-employee unions to engage in collective bargaining would mean opening the door to the manipulation of government policy by a privileged private interest. In the late 1950s, however, the consensus against public-sector unions began to collapse. In 1958, New York City Mayor Robert Wagner Jr. issued an order allowing public employees in the city to unionize and bargain collectively. The following year, Wisconsin became the first state to enact a public-sector collective-bargaining law. On January 17, 1962, President John F. Kennedy signed Executive Order 10988, which granted bargaining rights to federal employees. Around the country, an avalanche of public-sector bargaining laws followed. "Membership in public unions rose exponentially," writes journalist Roger Lowenstein in a recent book  chronicling the explosion of pension debt in American life. Virtually proscribed only a decade earlier, by the mid-'60s these unions had been transformed into lobbying powerhouses with salaried staffs, hired lawyers, in-house newspapers, and (just in New York City alone) a quarter of a million dues-paying members. In the ensuing half-century, the public sector in the United States has grown enormously. The number of government employees at all levels surged from about 8.2 million in 1959 to 22.5 million in 2009. Historically, government work paid less than comparable employment in the private economy, but greater job security and good pensions compensated for the lower wages. No longer: now government workers tend to fare better than private-sector workers across the board—not only in job security and pensions but in wages and other benefits as well. Supporters of government pension benefit increases routinely argue that public employees are underpaid compared to private-sector counterparts, so retirement benefits must be sweetened to compensate. However, recent surveys used by the City's Department of Human Resources to benchmark compensation disclose that in nearly all job classifications the City pays more in wages and salaries than the other governmental agencies and more than most private-sector employers. Nationwide, according to BLS data for 2009, state and local government employees were paid an average wage of $26.01 per hour, which was 34 percent higher than the average private-sector wage of $19.39 per hour. Even more lopsided was the public-sector advantage in fringe benefits, such as health and life insurance, paid vacations and sick leave, and—above all—retirement income: state and local governments provided their workers with benefits valued, on average, at $13.65 per hour, a 70 percent premium over the average benefits package in the private sector. In addition to being more expensive, the benefits that come with government jobs are provided to more employees. Life insurance, for example, was offered to 80 percent of employees working for the government but to just 59 percent of workers in the private sector. Traditional defined-benefit pension plans were available to 84 percent of government workers—but to only 21 percent of private employees. With compensation so generous, it is not surprising that government employees are only one-third as likely to leave their jobs as workers in the private sector. The logical inference is drawn by Chris Edwards, a scholar at the Cato Institute: "[S]tate and local pay is higher than needed to attract qualified workers." Yet when it comes to outearning Americans who labor in the private sector, state and local government employees are left in the dust by their counterparts at the federal level. In 2008, the 1.9 million civilians employed by Uncle Sam were paid, on average, an annual salary of $79,197, according to the Commerce Department's Bureau of Economic Analysis. The average private employee earned just $49,935. The difference between them came to more than $29,000 -- a disparity that has more than doubled since 2000. Add benefits to the mix and the federal advantage is even more striking. Total federal civilian compensation in 2008 averaged $119,982—more than twice the $59,908 in wages and benefits earned by the average private-sector employee. Edwards has tracked the inexorable widening of that gap: federal employees in 1960 averaged $1.24 for every $1 earned by an American in the private sector. By 1980, that $1.24 had grown to $1.51; in 2000 it was up to $1.66. Now it is $2—and climbing. The federal government hires lawyers to tackle corruption, security professionals to monitor our borders, doctors to care for our injured veterans, and world-class scientists to combat deadly diseases such as cancer. Because of these vital needs, the Federal Government hires a relatively highly educated workforce, resulting in higher average pay. In 2009, full-time, year-round federal civilian employees earned on average 21 percent more than workers in the private sector. In a similar vein, when Scott Brown, the newly elected senator from Massachusetts, called in February for a federal hiring and salary freeze "because... federal employees are making twice as much as their private counterparts," he was promptly taken to task by the 150,000-member National Treasury Employees Union. "Comparing salaries of federal employees and private sector employees is not an apples-to--apples comparison," the union's president admonished Brown in a letter. "The only appropriate way to make a fair pay comparison is to compare similar jobs with one another." A few weeks later, USA Today published just such a comparison. Analyzing the salaries (not including benefits) paid in the 216 occupations with direct equivalents in both the federal and private-sector labor markets, it found a government premium in more than eight out of 10 categories. Registered nurses in the government's employ, for example, were paid an average of $74,460 a year, while those in the private sector earned an average of $63,780. Among librarians, the federal pay advantage was $12,826; among graphic designers, $24,255; among pest-control workers, $14,995. Overall, the paper concluded, "the typical federal worker is paid 20 percent more than a private-sector worker in the same occupation." Even when taxpayers fall on hard times, the good life goes on for public employees. During the first year and a half of the current "Great Recession," the number of federal workers with salaries of $100,000 and up increased 46 percent. At the Defense Department, the number of civilian employees making $150,000 or more quintupled from 1,868 to 10,100; at Justice, the increase was nearly sevenfold. The devastation wrought by the worst recession in two generations has not been evenly distributed. Between January 2008 and June 2010, the American private sector lost roughly 8 million jobs. Over the same period, the public sector workforce grew by 590,000. IT IS NOT by happenstance that the growth in public-sector union jobs—from a trivial share of overall union membership 50 years ago to a majority today—has coincided with so vast an expansion of government and of its employees' pay and perquisites. As FDR had foreseen, there are crucial differences between collective bargaining in the public and private sectors. Labor unions negotiating on behalf of government employees enjoy at least four potent advantages, which they long ago learned to exploit. First, unlike their counterparts in the private sector, government unions are largely free from market discipline. Unions operating in the private economy know that there are limits to the demands they can make of an employer; private firms have to earn a profit to stay alive, and competition swiftly punishes those that fail to control cost and quality. If unions insist on too much, management may respond by substituting capital for labor or by closing a facility. At the bargaining table, both sides are aware that higher prices or inferior service can cause a company to lose sales, shed jobs, or even go out of business. But public-sector unions face no such constraint. The government agencies they bargain with don't have to make a profit or retain customer loyalty; they can't go out of business or relocate to another state. And, of course, their revenue is acquired the old-fashioned way: through the compulsion of taxpayers. A second advantage lies in the difference between public- and private-sector strikes. In business, a strike (or the threat of a strike) is an economic weapon that takes a toll on both sides: management suffers the loss of business, and labor must absorb the loss of wages. Consumers may experience some inconvenience, but they generally have the option of switching to another supplier or deferring their transaction to a later date. In the public sector, by contrast, strikes are political weapons. Because government services tend to be legal monopolies, a strike by police, garbage collectors, teachers, or air-traffic controllers inflicts pain on the public at large. The union seeks to pressure management not by depriving it of revenue—the government collects taxes no matter what—but by making conditions so miserable that voters will pressure public officials to end the crisis by acceding to the union's demands. "As the city's transit strike drags into its fourth day," the Associated Press reported last November from Philadelphia, where bus and subway operators had walked off the job, "tempers are frayed, commuter trains are packed, streets are clogged, and some residents remain virtually stranded at home." Only government unions can inflict that kind of widespread pain and chaos by calling a strike. In many states, strikes by public employees are prohibited, and disputes that cannot be settled through collective bargaining are resolved through mandatory binding arbitration instead. Far from promoting compromise, however, binding arbitration undermines it. Unions have every incentive to bargain to impasse and then insist on arbitration, since they know that an arbitrator will almost never award public employees less than the government's final offer. That makes binding arbitration a can't-lose proposition for the unions and a certain loser for the taxpayers. As a state senator in 1969, Coleman Young authored Michigan's mandatory-arbitration law. As mayor of Detroit years later, he came to deeply regret it. "We know that compulsory arbitration has been a failure," Young told National Journal in 1981. "Slowly, inexorably, compulsory arbitration destroys sensible fiscal management" and has "caused more damage to the public service in Detroit than the strikes [it was] designed to prevent." Managers also dominate the $100,000 club list. These are the people who are supposed to represent the public when employee benefits are negotiated. But when government managers sit down with union leaders to dicker over compensation, they are negotiating for themselves as well. If rank-and-file workers get a wage or benefit boost, non-union managers get a commensurate hike and a matching pension benefit. Needless to say, that is not the way contract negotiations are conducted in the private sector, where managers are aware of their company's bottom line and know they will be judged on their ability to protect it. The absence of that check and balance in the public sector has often transformed collective bargaining into something closer to collusion than to hardheaded haggling. which is to say, they can vote their bosses out of office. This gives them direct clout over the people who determine their benefits. By contrast, the [United Auto Workers], for all its muscle, cannot vote the CEO of General Motors out of a job. Politicians thus face huge temptations to increase benefits. Even though this is costly in the long run, in the short run officeholders are rewarded at the ballot box. Former AFSCME president Jerry Wurf: "We're political as hell." It didn't take unions long to figure out that their members' votes, and the political donations funded in part with their members' dues, would yield tremendous leverage at the bargaining table. Consequently, for many public-sector unions, politics became a core function. 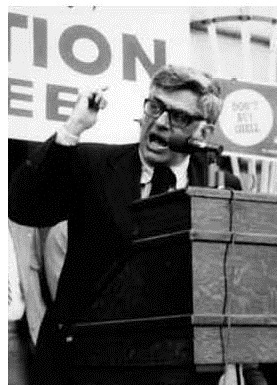 Time magazine, reporting in 1973 that the American Federation of State, County, and Municipal Employees was "teach[ing] local unionists how to organize political rallies, telethons, and letter-writing campaigns," quoted AFSCME's president, Jerry Wurf: "We're political as hell." That attitude is reflected on the AFSCME website, which boasts that candidates "all across the country, at every level of government" have learned to "pay attention to AFSCME's political muscle." The union is blunt about its reliance on politics to achieve its collective-bargaining aims. "We elect our bosses, so we've got to elect politicians who support us and hold those politicians accountable," AFSCME says. "Our jobs, wages, and working conditions are directly linked to politics." For an even blunter expression of political hardball as played by the public-sector unions, turn to YouTube and watch the video labeled "SEIU Threat." At a budget hearing in the California legislature in 2009, an official of the Service Employees International Union, the nation's fastest-growing union, was recorded telling lawmakers to give the union what it wanted—or else. "We helped get you into office, and we got a good memory," she says evenly. "Come November, if you don't back our program, we'll get you out of office." SEIU's memory—not to mention its clout and deep pockets—was clearly appreciated by the Obama administration. SEIU spent $67 million to elect Barack Obama and other Democrats in 2008. In the first nine months following Obama's inauguration, union president Andrew Stern visited the White House 22 times—more than any other visitor. Several top SEIU officials were appointed to posts in the new administration, including Patrick Gaspard, who became the White House political director, and Craig Becker, who was named to the National Labor Relations Board. "SEIU is on the field, it's in the White House, it's in the administration," gloated Stern—with reason—in a video to his members. Over the past two decades, AFSCME has funneled nearly $43 million to presidential and congressional candidates, making it the nation's second-largest campaign donor at the federal level. It has spent an additional $40 million on its own independent efforts to influence elections. The comparable figures for SEIU are $28 million (direct donations) and $61 million (independent activities). Other public-sector unions on the nonpartisan Center for Responsive Politics's "Top All-Time Donors List" include the National Education Association at No. 8 and the American Federation of Teachers at No. 13. Nearly all their donations have gone to Democrats, and Democrats have responded (sometimes, to be sure, with help from Republicans) by making government employment ever-more lucrative -- and by supporting the higher taxes and expanded programs that lead to even more public-sector employment. The unions' power to "elect our bosses" has thus turned public-sector collective bargaining into a rigged game -- rigged in favor of a privileged government elite and against the private taxpayers who pay its bills. The perks that accompany government employment have in many cases grown outlandish and unaffordable: no-deductible, no-co-pay health insurance. Preposterously lucrative overtime rules. Public-sector-only holidays. Hefty pay raises in the midst of a recession. Job security and tenure that make it close to impossible to fire even the most incompetent worker. Looming over everything, however, are the Cadillac pension plans that most unionized government employees take for granted—and that for most other Americans are the stuff of fantasy. The heads of public-worker unions "have used their political muscle to set up two classes of citizens," says New Jersey's combative Republican governor, Chris Christie -- "those who enjoy rich public benefits and those who pay for them." The excesses in government pensions have drawn mounting scrutiny in recent years. Every day there are a dozen or more fresh links at the invaluable website PensionTsunami.com, which aggregates the latest press coverage of the "multiple pension crises that are about to drown America's taxpayers." Even traditionally liberal, government-friendly publications -- the Boston Globe, the New York Times, the Washington Post -- have devoted considerable attention to the exploding costs of public pension plans and the many techniques state workers can use to "spike" their retirement payout. Numerous stories have described the largesse awarded to "double-dippers" -- government employees who "retire" on a full pension and then return to government work so they can keep collecting a paycheck as well. There are even triple-dippers: in 2008, George M. Philip collected his $261,000 yearly pension as the former chief of the New York State Teachers' Retirement System, received a further $100,000 to continue consulting with the teachers fund, and made $280,000 as president of SUNY-Albany. His total one-year take: $641,000. Other media coverage has focused on the "disability" rules that allow police and fire personnel who have been injured on the job to retire early and immediately begin receiving enhanced (and sometimes tax-free) pensions. Often these "disabilities" have nothing to do with public service. In Nevada, for instance, state law decrees that heart disease among police officers and firefighters is to be considered a work-related disability—even if it is actually due to poor diet, lack of exercise, or genes. Loose disability rules are also an invitation to fraud. The Sacramento Bee reported a few years ago that as California Highway Patrol officers approached the end of their careers, they "routinely pursued disability claims" in order to qualify for fattened pensions—at one point, the share of CHP officers retiring as disabled was more than 80 percent—whereupon some of them "embarked on rigorous second careers." An egregious recent case in Boston was that of Albert Arroyo, a firefighter who went out on disability, claiming to have been "totally and permanently disabled" when he tripped on a staircase in March. While on injured leave, he continued to collect his full salary, tax-free. Remarkably, his "total and permanent" disability didn't keep him from competing in men's bodybuilding contests or finishing eighth in the 2008 Pro Natural American Championships. In many states, public employees retire well before the conventional retirement age of 65. State workers in California, where public-sector unions are among the most powerful anywhere, can retire at 55 after 30 years of work, receiving pensions equal to as much as 81 percent of their last year's pay. For public-safety employees, the pension formula -- "3 percent at 50" -- is even more generous: it allows them to retire as young as 50, with a guaranteed pension equal to 3 percent of their final salary times the number of years worked. A police officer who was hired at 20 can thus retire at the age of 50 and be paid 90 percent of his final compensation each year for the rest of his life. For many retirees, this means collecting a six-figure pension for decades. For most private-sector workers, of course, guaranteed pensions are not an option; their retirement income (Social Security aside) will come from IRAs, 401(k) plans, and other personal savings. If they contribute too little to those funds during their working years or if markets plummet, their post-retirement earnings will necessarily be reduced. But the pensions of government employees are generally set in stone. Statutes or court rulings lock states and localities into honoring their employment contracts with the unions, regardless of economic conditions or how unaffordable they may prove. That means that more and more taxpayers are going to find themselves working longer and harder, not only to provide for their own retirement, but also to pay for the risk-free, platinum-plated pensions of bureaucrats who earn higher salaries, enjoy more lavish benefits, and retire earlier than they do. Many Americans already resent the unfairness of this arrangement, and it doesn't take a crystal ball to see the backlash that is coming. 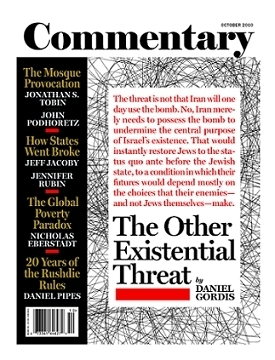 Nor does it require a seer to grasp that a fiscal catastrophe is impending as states and municipalities struggle to cover pension promises they cannot possibly afford. In February, the Pew Center on the States warned that underfunded state retirement systems collectively face a $1 trillion funding gap, a crushing prospect made worse by the obvious fact that "every dollar spent to reduce the unfunded retirement liability cannot be used for education, public safety, and other needs." In fact, the funding gap is likely to be much greater than $1 trillion, since Pew's projection did not take into account the market crash of 2008. California's unfunded pension debt alone amounts to $500 billion, according to a Stanford University study released in April. Nationwide, estimates the Cato Institute's Edwards, the total underfunding of public-employee pensions comes to $3.2 trillion. That is an almost incomprehensible arrears, one that cannot be made up without slashing government services or drastically raising taxes—or a combination of both. look no further than the $5.5 billion diverted this year from higher education, transit, parks, and other programs in order to pay just a tiny bit toward current unfunded pension and healthcare promises. That figure is set to triple within 10 years and—absent reform—to continue to grow, crowding out funding for many programs vital to the overwhelming majority of Californians. In July 2009, The Boston Globe interviewed Scott Lang, the mayor of New Bedford, Mass., and a rarity -- especially among Democrats -- in his willingness to call urgently for rolling back public pensions and health benefits. He says current pension and health insurance systems for city employees have to go, period. If not, they will destroy the city and its ability to maintain the services people expect like public safety. . . .
"It's absolute insanity. They're unsustainable," he says about pensions. "There isn't the money to pay for an unfunded liability like that. All the revenues will be eaten up by past-due promises." Not many Democratic politicians are prepared to speak that way yet. But that is likely to change as the pension crisis intensifies. One labor-friendly Democrat who now acknowledges the inevitable is Willie Brown, the former San Francisco mayor and California Assembly speaker. "The deal used to be that civil servants were paid less than private sector workers in exchange for an understanding that they had job security for life," Brown wrote in a San Francisco Chronicle column in January. But we politicians, pushed by our friends in labor, gradually expanded pay and benefits...while keeping the job protections and layering on incredibly generous retirement packages....Talking about this is politically unpopular and potentially even career suicide for most officeholders. But at some point, someone is going to have to get honest about the fact. PUBLIC-SECTOR UNIONS will fight tooth and nail against any effort to rein in their outsize benefits, and with their immense political clout, they will not be easily defeated. But neither will it be easy to ignore the widening gulf between the public-union aristocracy—with its recession-proof jobs, automatic raises, early retirement, and spectacular pensions—and the scores of millions of Americans working in the private sector, whose standard of living is being eroded by high taxes, profligate government, and a shaky economy. In states where public-sector unions are dominant, such as California and New York, politicians will increasingly find themselves pressed to choose between the unions and a restive, indignant public. In some places, the first steps toward curbing once-sacrosanct public pensions are being taken. In June, Baltimore's city council voted to raise the amount police and firefighters must contribute toward their pensions and lengthened from 20 to 25 the minimum number of years of service required—not just for new hires but even for current employees with less than 15 years on the job. Naturally, the unions protested and went to court, but the city council's willingness to cross them is significant. Also significant is the strong editorial stand taken by the Baltimore Sun, which praised the council's reforms and rejected the union's complaints. "Without changes to these pension benefits," the Sun argued, "Baltimore would face disaster." Officials elsewhere have attempted other fixes. In Illinois, the retirement age for new employees has been raised to 67, the nation's highest. Colorado and Minnesota cut back the automatic annual cost-of--living increases previously promised to retirees. Utah, Georgia, and other states have revamped their pension plans, moving from a pure defined-benefit system to hybrid plans that combine a guaranteed pension with a 401(k)-like component. In July, the National Conference of State Legislatures counted 11 states that had enacted major changes in 2010 aimed at shoring up their public pensions. But many of these reforms affect only new employees or are under challenge in court. In most states and localities, the fundamental reality remains unchanged: the overwhelming majority of government employees have guaranteed pensions—pensions that threaten to devastate budgets and crush taxpayers unless something is done to restrain them. 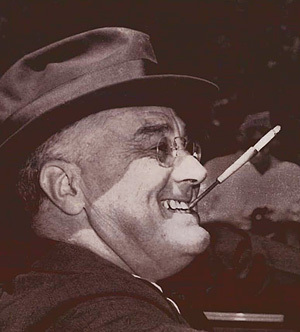 FDR warned that unionizing government employees was a dangerous idea. Numerous solutions have been suggested. The distinguished University of Chicago law professor Richard Epstein urges a blanket prohibition on increasing the pensions or wages of public employees for work they have already completed. He also argues for allowing citizens to challenge new union contracts in court so that provisions inequitable to the taxpayer could be voided before taking effect. But with a multi-trillion-dollar pension avalanche heading toward us, more radical reforms are inescapable. One way or another, government employees must be weaned from their exorbitant defined-benefit pension plans. Those plans should be closed completely to new employees and frozen for current employees. Already-vested benefits cannot be touched, but all retirement benefits going forward ought to be accrued within a defined-contribution plan requiring employee contributions. Without depriving employees of any benefits they have earned to date, governments have to be able to amend the terms on which future benefits are earned. Tens of millions of Americans working in the private sector—including many belonging to labor unions—know from first-hand experience that the terms and conditions of future employment can be changed. That is how real life works, and a government job should not confer immunity from real life. FDR was right. Collective bargaining has no place in the public sector. It inevitably leads to abuse. Favoritism, undue influence, lack of transparency, manipulation of government policy, the relentless mulcting of the taxpayer—this is the poisoned fruit of turning government agencies into union shops. It goes without saying that public employees ought to be as free as anyone else to join professional associations and affinity organizations. They are certainly entitled to all the protections of the civil rights laws and of a reasonable civil service system. But labor unions should have no right of exclusive representation in any government workplace and no right to negotiate wages and benefits with public officials who crave their votes and political support. Public-sector collective bargaining has been a mistake—a mistake whose ruinous, expensive, and corrupting effects are climaxing in the onrushing public-pension tsunami. There is no easy way to undo that mistake. But as the gathering crisis makes vividly clear, there are many good reasons to try.